The “Annual Day Zero HiF Advent Calendar Kick-off 2017” is a go! really, 12 months passed and we’re talking again? How are you? Did your pack get lighter this year? How’s the snow up North, and are the reindeers alright? I did miss our conversations, and am looking forward to catch up with you over the next 24 days. But I also need to tell you that this is likely the last time we’ll be having our chats - rumor has it that this is the final #HiFAdventCalendar - that could be just a rumor, or then it’s a fact - I guess we’ll have to wait till November 2018 to find out. Anyway. 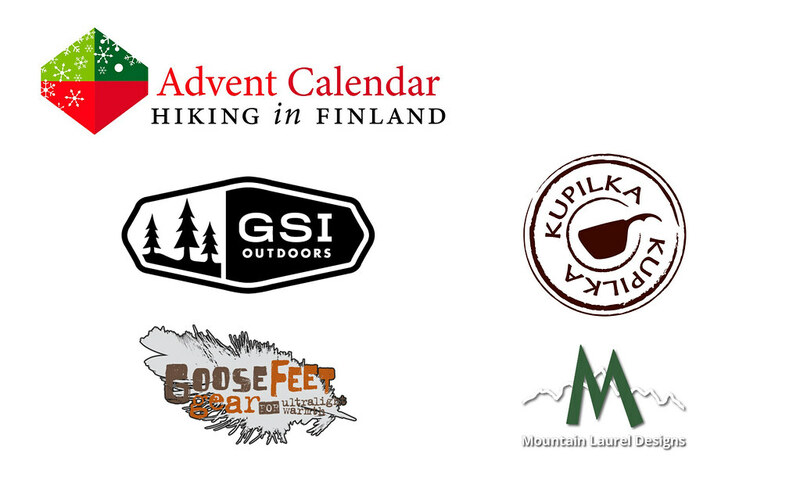 The 2017 Hiking in Finland Advent Calendar looks like it will be the best yet again, with great prizes that will make quite a few people happy. Also, Hiking in Finland is planting one tree for each door that goes open, so once the 24th of December comes around there will be 25 trees planted, already a wee forest! That’s not just great for the environment, but also for future generations of outdoor enthusiasts! Well, lets have a look at the prizes this year, shall we? The ADZHiFACKO Door has some sweet kit from GSI with the Halulite Microdualist Complete Set and the Ultralight Java Drip. The Halulite Microdualist is an excellent choice to boil water and cook food when outdoors, and best of all: It’s made for two people and packs up in itself. But even when outdoors on my own the Halulite is a solid choice and with the Ultralight Java Drip a good cup of real coffee is never far away. And who can resist good coffee - especially outdoors?! The Kupilka 37 goes very well with the stove and coffee dripper, and the 370 ml volume of this new, larger Kuksa is a real benefit: Large cups of coffee in the morning, warm soups in the afternoon, refreshingly cold cups of water while hiking and hot chocolate in the evening can be consumed from it in style. The eVent Rain Mitts from Mountain Laurel Design on the other hand are a good weather charm - carry these 30 g mitts and it’s bound not to rain! I can not imagine a better way to influence the weather, and if one’s luck runs out then one can always wear them to keep the hands dry! The Down Socks from GooseFeet Gear on the other hand are a sure guarantor to toasty toes and feet. They also pack down next to nothing, are ultralight and nowadays come in a variety of colours from Black to Red, Pink and Blue. 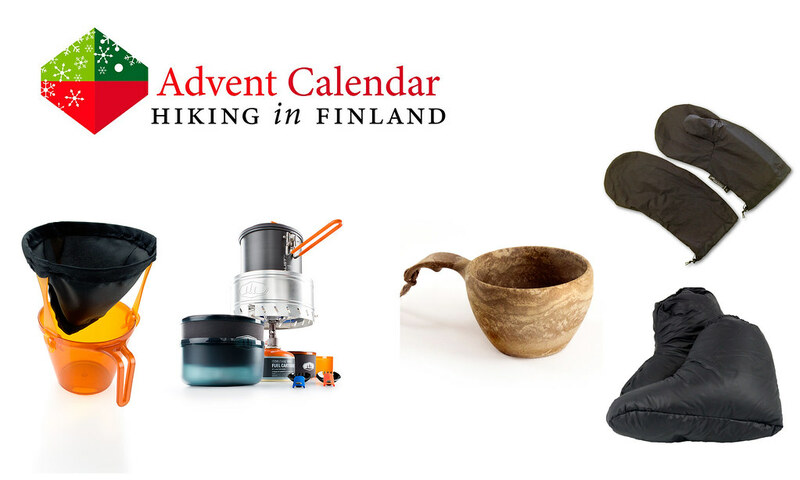 The Mitts and Socks even pack so small, you could stuff them into your Kuksa! As you see Dear Santa, this kick-off Door is already filled to the brim with sweet kit - and all potential winners need to do is enter via the Rafflecopter Widget below!